Use:It can be used for products such as top-grade paint, coating material and the coating intermediate etc. 1、The particle size is small, specific surface is big. 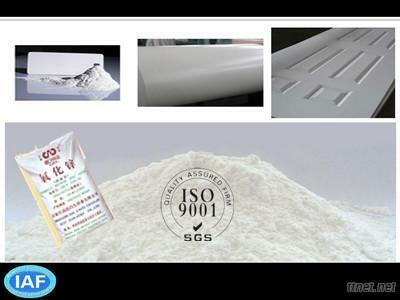 There is stronger adhesive force and hiding power, improving the efficiency of the coating greatly. 2、The specific gravity is small, not easily to form the precipitation in use or in the final product. 3、This product also has some functions to shield the ultraviolet ray. It can play the anti-aged function in the coating. Chemicals, Coatings & Paint, Coatings & Paint/n.e.s.